It’s impossible to ignore Billie Eilish. She has a unique fashion sense and is wise beyond her years. But she has also become a musical phenomenon in the span of a single year. So, what’s interesting about this girl? Let’s find out! Do you remember what you were doing when you were just a teenager? We doubt it involves signing autographs or taking selfies with adoring fans. But this is Billie’s life now. Just turned 17 last December 18th, her voice has won the hearts of many but she’s not your average teen artist. She’s unique, raw and definitely not afraid to speak her mind. It’s hard not to be obsessed with the fact that she’s 17 and has more swag and style than all of us combined. Billie has been criticized for never smiling in photographs. She has said multiple times in interviews that she does not like smiling because it makes her feel weak and powerless. In fact, her debut EP is called don’t smile at me…and we kind of love that. She is also known for her eccentric dress sense. She is often criticized for it but does not pay attention to the criticism. Way to go, girl! You only have to listen to her lyrics to know that Billie’s personal style is unlike you’ve heard anything before. Some of the lyrics she’s written can come off a bit dark and intimidating. In the song “Watch”, she sang about burning someone’s car, in “Hostage”, she talks about wanting to steal our souls, and “Bellyache” is about murdering her friends. She wrote her first song when she was 4 years old. But if you thought the song was about ponies and fairies, you couldn’t be more wrong. Her first creation actually talked about falling into a black hole. That’s pretty dark. “I don’t like to call them my fans,” Billie said. In fact, she thinks of them as family. Isn’t that adorable? She knows that she wouldn’t be where she is without their support. She devotes her attention to them whenever she gets the chance. And whether she’s online or sees a fan in person, she’s always connecting with them. 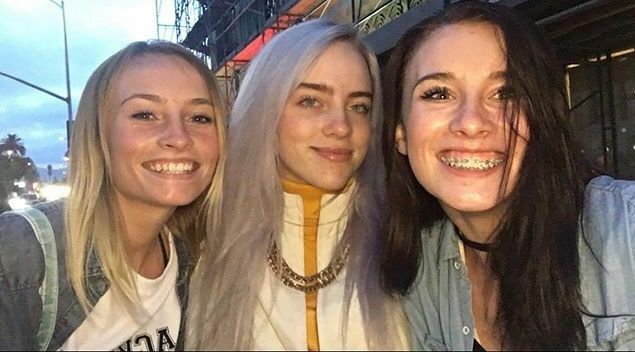 Oh, and if you ever attend a Billie Eilish concert, be prepared for moms and middle schoolers front row screaming and crying, because all ages can attend. Billie Eilish Pirate Baird O’Connell was born into a family of musicians and actors. Her mother wrote songs and her father played instruments such as the piano and the ukulele. And her elder brother, Finneas O’Connell, had a band of his own. She loved acting in homemade films and also sang and danced whenever she found the chance. She took dance classes in her early teenage years. Finneas had written a song named “Ocean Eyes” and asked his sister to record it in her voice. This accidental song turned out to be the breakthrough success for Billie and boosted her career.